Nova Studios Matt Stephenson and Alan Jones run Hull based film production company Nova Studios Ltd.
Nova were instrumental in developing the first group of school links between Hull and Freetown and they have produced numerous education resources about the Hull-Freetown link and they are regular visitors to Freetown. They are currently working on two Sierra Leone based documentaries and are helping to support and develop cultural partnerships between our two cities for Hull 2017. Barmmy is a regular visitor to Hull and has been instrumental in much of the work that has taken place developing links over the last ten years. 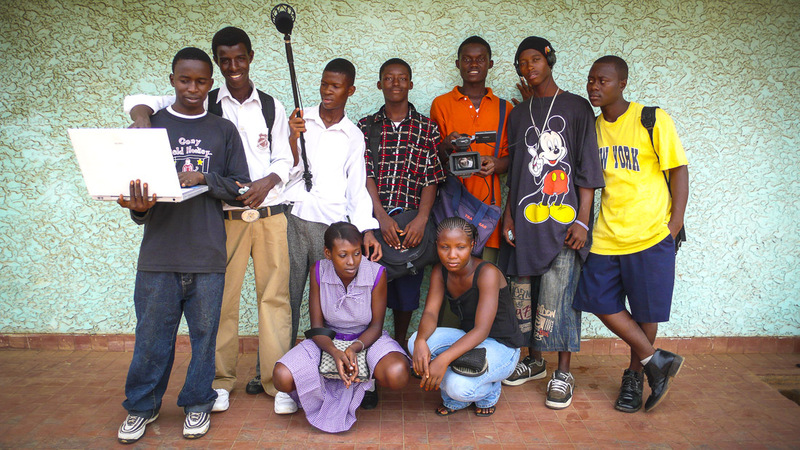 A film-maker and music producer by profession, Barmmy is a well-connected youth and community activist and a great contact in Freetown. Barmmy is the production manager at Freetown based youth media centre WeOwnTV. Francis is integral to the Hull-Freetown links, having established the very successful Global Schools Partnership Network (GSPN) which co-ordinates and develops our thriving network of school partnerships. Francis is also a member of the Hull Society – our sister organisation in Freetown. Francis runs the Conforti Primary School which is linked with Sutton Park Primary School in Hull. Tony spent two years in Hull as a voluntary worker but is now settled back in Sierra Leone, spending his time between Magburaka and Freetown. Tony was also involved in establishing school and church links and he remains a close contact for the Freetown Society – he is another of our trusted friends and someone who can help you with any work in Sierra Leone. ‘Uncle’ Modupe is the chairman of the Hull Society in Freetown and Pro Chancellor of the University of Sierra Leone. Rev Taylor-Pierce is a well known and very well respected figure in Sierra Leone with many friends in high office. His advice and support is always welcome and he is our most respected friend in Freetown. Mrs Kanneh is the secretary of The Hull Society and she also co-ordinates International Relation for Freetown City Council. Mrs Kanneh is one of the people we turn to when we need introductions or want to make sure wheels move at the highest levels. She always offers the warmest of welcomes and helps Freetown Society members with their work.